The voyage to the Small Isles is an experience of casting off and getting away from it all. The scenery and sense of space is truly exceptional with the mountainous Isle of Rum forming a magnificent backdrop. The small isles aren’t that frequented and therefore the pace of life is laid back. This compact region has a surprising contrast of scenery from wild mountains to gentle green islands, all superbly set off and isolated by the moody Atlantic. This is why this tour is called ‘Out on the Edge’. 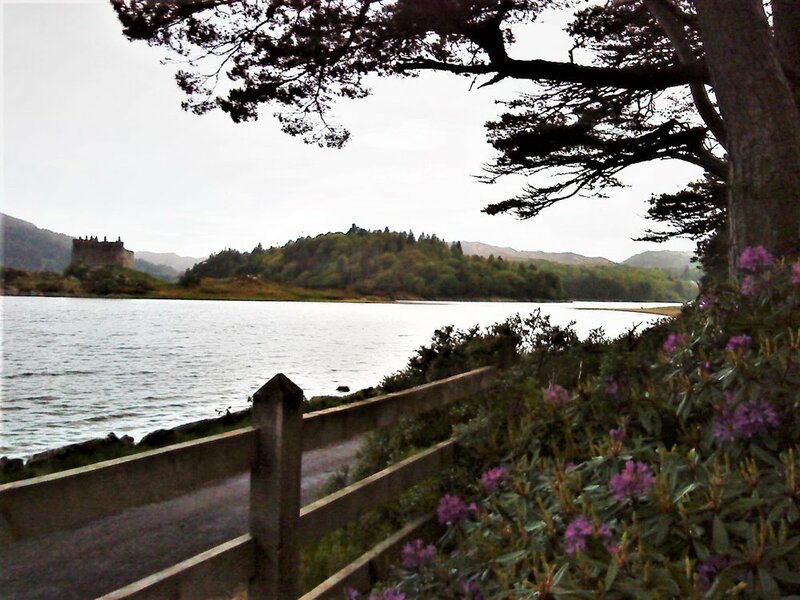 The ‘St Donan’ title is included as Eigg was the island Donan chose to establish his ‘colony of heaven’, an early Christian community which paid the ultimate sacrifice when Donan and his 52 companions were martyred by Picts. Cost £495 pp based on two sharing a room, subject to availability. Includes B&B accommodation, 2 nights of dinners, all transport, all ferries and a Mountain Leader guide. Excludes meals not included and drink. Discounts on groups of 3 or more. Single supplements: £560 for the above package - same inclusions and exclusions apply. - Depart Glasgow 09:30 north to Loch Lomond and towards Oban to follow the east coast of Loch Linnhe northwards to the Corran ferry. - Onto accommodation and evening meal. - Take the 10:15 ferry either direct to Eigg, or stay on board for a truly inspiring cruise around mountainous Rum and on to the outlying and remote island of Canna and back to Eigg. Note that although the ferry briefly docks at Rum and Canna, we won’t be able to go ashore. The ferry has a café that serves food and is warm and comfortable. - Arrive on Eigg at 16:10 and on to accommodation. There are plenty of good walks and a host of attractions. Climb the iconic An Sgurr peak - a fine rocky peak, the remnants of a lava vent from the volcanic heart on neighbouring Rum. From its summit there are sensational panoramic views across the Hebridean seas to the neighbouring isles and the mountainous mainland. Walk to the Singing Sands on the far side of the island for fantastic views of Rum. Ponder among the Celtic ruins where early Christians were martyred by Picts. - The island has cafes, a pub and a restaurant to choose from. - Time to do one of the walks listed before evening meal. - Arrive Mallaig at 15:30 via Muck. 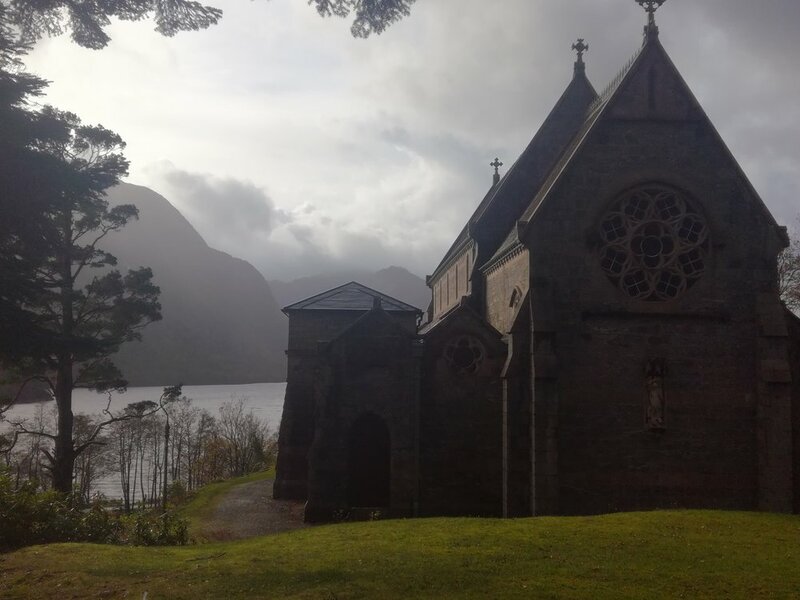 Drive to Glenfinnan to visit the Jacobite monument at the head of Loch Shiel in a stunning location and see the viaduct made famous by the Harry Potter films. Photo stop for a church in what has to be a top contender for the most beautiful church setting of anywhere in Scotland. Singing sands: Grading: easy. Distance: 14kms (or hire a taxi for a 1km walk to the Singing sands and a 7km walk back. Height: 140m both directions. Cost £635 pp based on two sharing a room, subject to availability. Includes B&B accommodation, 2 nights of dinners, all transport, all ferries and a Mountain Leader guide. Discounts on groups of 3 or more. Excludes meals not included and drink. Single supplements: £775 for the above package - same inclusions and exclusions apply. Depart Glasgow 09:30 north to Loch Lomond and towards Oban to follow the east coast of Loch Linnhe northwards to the Corran ferry. Take the 10:15 ferry either direct to Eigg, or stay on board for a truly inspiring cruise around mountainous Rum and on to the outlying and remote island of Canna and back to Eigg. Note that although the ferry briefly docks at Rum and Canna, we won’t be able to go ashore. The ferry has a café that serves food and is warm and comfortable. Do all of the recommended walks below at a chilled pace. Mon: 16,25 dep Eigg – Arrive in Mallaig at 17.40. Stop off at Glenfinnan to visit the Jacobite monument at the head of Loch Shiel in a stunning location and see the viaduct made famous by the Harry Potter films. Photo stop for a church in the most beautiful setting of anywhere in Scotland. Please enquire about other day options. Ferry services are limited to the Small Isles and don’t run to each island every day. However we can work out other options that could include walking on Canna for the day and staying in the hostel on the Isle of Rum and doing some hikes from there.